Tokyo’s hip Shibuya district is now home to a new kind of theatrical experience. It’s called the 2.5-dimensional musical, and the works feature worlds derived from manga, anime, and video games. We will be following director Isamu Kayano as he tries his hand at the medium for the first time, with an adaptation of Touken Ranbu, a browser-based game that has proven to be a hit with female players. The game does not feature an overriding plot; instead, players must collect historic swords that have been anthropomorphized as men and raise these “blade boys.” We will see how Kayano is attempting to adapt this game into the 2.5-dimensional musical format, while also creating a story that will capture the audience’s hearts. In this segment, we will be visiting the Edo-Tokyo Open Air Architectural Museum, a popular tourist destination. The museum’s vast premises are home to many buildings with great cultural value. One such building is a farmer’s home built 250 years ago that features an irori, a hearth embedded into the floor where farmers once cooked their meals. There is also a replica of 1930s downtown Tokyo, located at the end of a tree-shaded path. 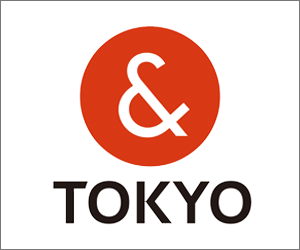 Tokyo Brand is a new initiative established by the Tokyo Metropolitan Government to promote the charms, both old and new, of Tokyo to the world. We will take a look at the brand’s logo, &TOKYO, and how it is being implemented so it is easily visible to visitors.